Panache Best Fonts is a fun and affordable sampler of 12 very different designs. All authentic retro, each is full of expression and personality; ideal for print or web display applications. The Panache (HouseStyle Graphics) type studio is headed up by Dave Farey in the UK. Born in London in 1943, Dave began his career as a lettering apprentice for Letraset at the age of 16. Over the years, Dave Farey is credited with being involved in the creation of more than 200 typefaces. While he has designed several popular typefaces from scratch, such as ITC Johnston, ITC Golden Cockerel, and ITC Ozwald. 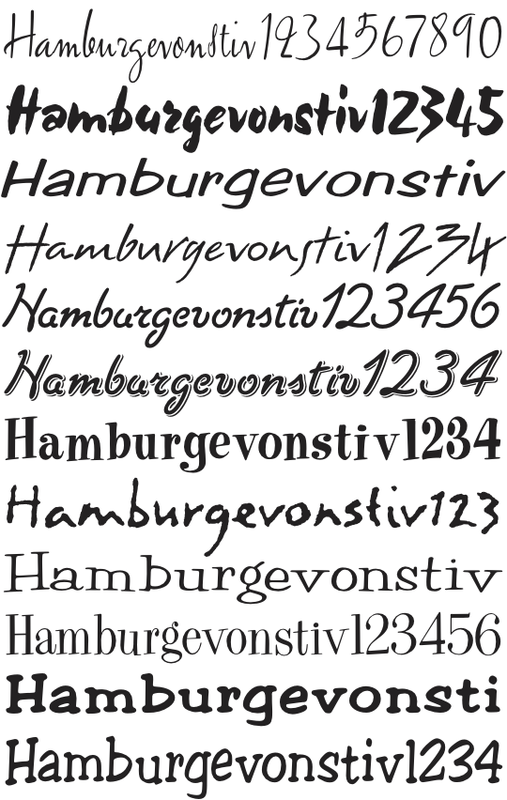 His most popular fonts are revivals of pre-computer typefaces. Based in London and founded by the legendary and talented British typologist Dave Farey, Panache Typography has been a part of FontHaus since the early 90s. This great collection of period revivals and exclusive designs have always been popular. Some have ranked in our top 50 sellers every year since we first introduced the library!